Documents leaked from the Panamanian law firm Mossack Fonseca reveal a suspected billion-dollar money laundering ring involving close associates of Russia's President Vladimir Putin. A Lithuanian bank could have been involved in the schemes. 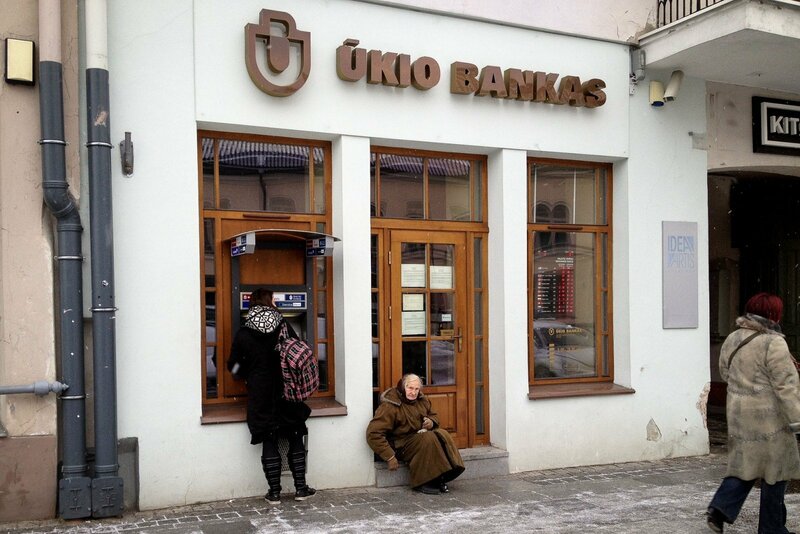 The Lithuanian news portal 15min.lt reports that Ūkio Bankas, a Lithuanian bank that went out of business in 2013 amidst suspicions of embezzlement, administered accounts linked to close associates of Putin. Russian concert cellist Sergei Roldugin, a close friend of the Russian president and godfather to Putin's daughter Maria, has been revealed to have made hundreds of millions of dollars in profits from suspicious deals. The Mossack Fonseca documents suggest that Roldugin's companies could be a corporate screen to hide the identity of the true owners of the assets. Some of the deals involving Roldugin's companies have allegedly been conducted through accounts in Lithuania's Ūkio Bankas. The suspicions transactions involved shares of the Russian state-owned oil company Rosneft. In one deal dated May 29, 2008, Sandalwood Continental and International Media Overseas, both linked to Roldugin, agreed to sell Rosneft shares worth US$ 1.5 million to Delco Networks S.A. and Kentway S.A., companies based in the British Virgin Islands. Both companies held accounts in Ūkio Bankas. Eleven million documents held by the Panama-based law firm Mossack Fonseca have been passed to German newspaper Suddeutsche Zeitung, which then shared them with the International Consortium of Investigative Journalists. The documents show how the law firm has helped clients launder money, dodge sanctions and evade tax. Commenting on the leak, Mossack Fonseca says it has operated beyond reproach for 40 years and never been accused or charged with criminal wrong-doing.